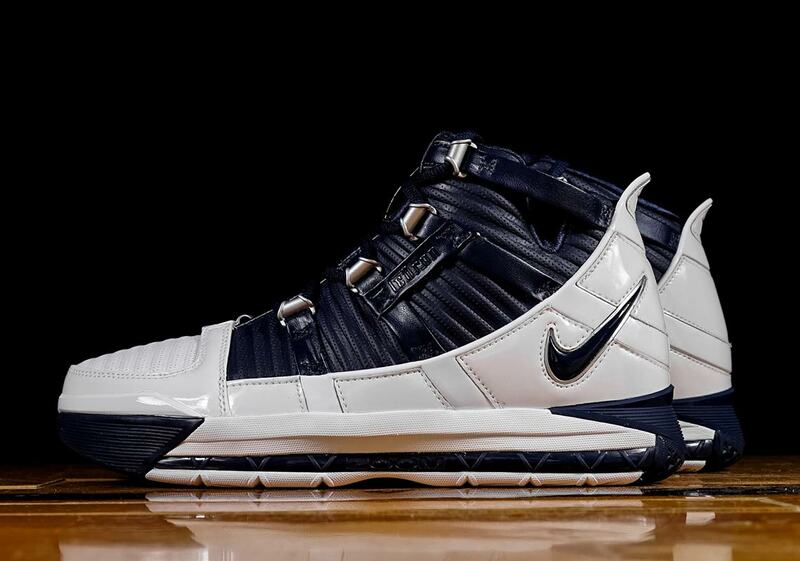 First introduced back in 2005, Nike’s Zoom LeBron 3 hit the market when LeBron James was just getting comfortable with his throne — being named to the All-NBA First Team, leading the Cavs to the playoffs for the first time since 1998, and taking the eventual Eastern Conference champion Detroit Pistons to 7 games in the Eastern Conference Semifinals. 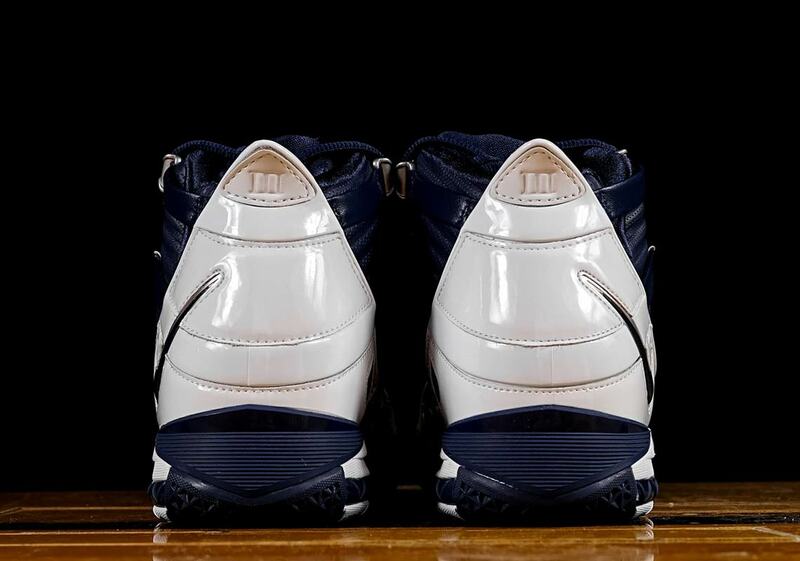 Much like LeBron himself, the shoes garnered widespread acclaim that year — favored for their on-court performance via a full-length Zoom Air cushioning unit, and their off-court style, thanks to a full-grain leather upper. 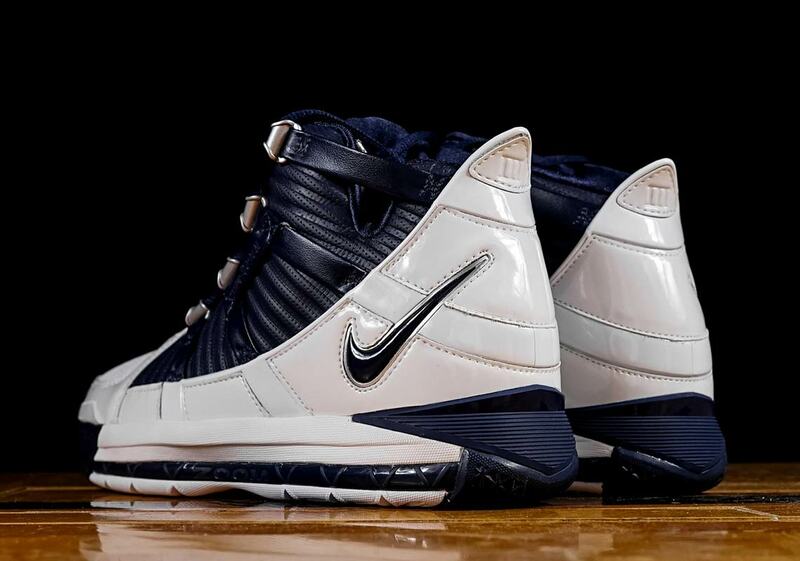 Now, 14 years after their first release, the Zoom LeBron 3 is coming back to market in its famous OG white/navy colorway. 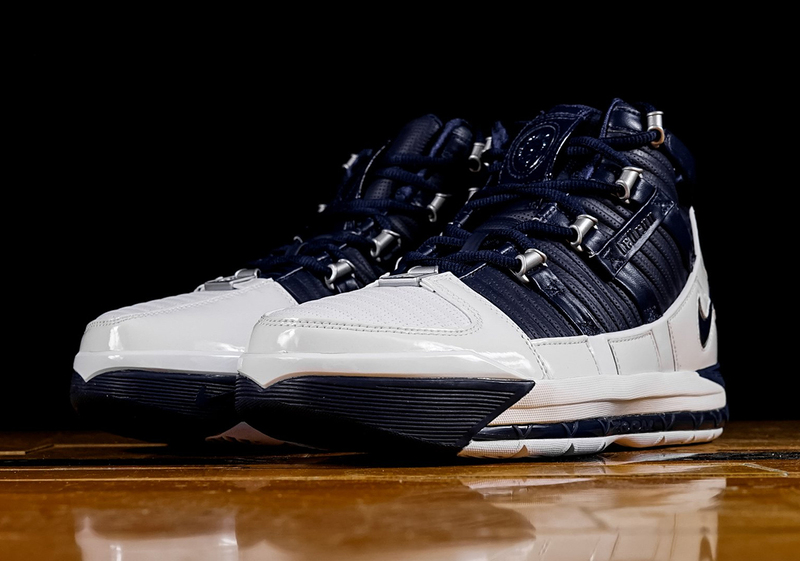 Using bright white accents to offset the rich dark navy base, the shoe also features bold silver lace loops and a debossed lion graphic on the tongue to hammer home its monarchical style. A welcome blast from the King’s past, these LeBrons will release February 8th for $175 USD, so check a store list below to see where you can secure a pair.